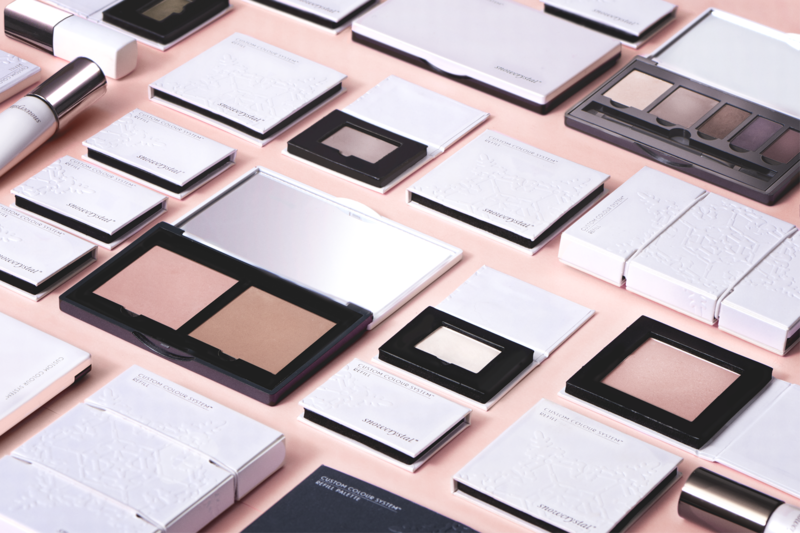 The beauty industry today is driven by consumers who are demanding better quality products, customised solutions, and brands with sustainable mind-sets more than ever before. 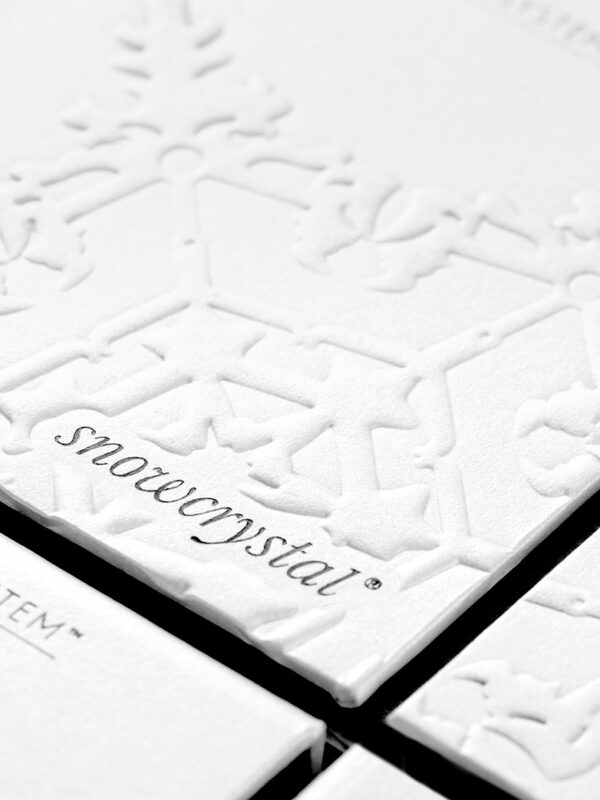 Snowcrystal is a premium Swedish cosmetics brand, with the ambition of being the leader in creating something better for both the environment and the consumer. 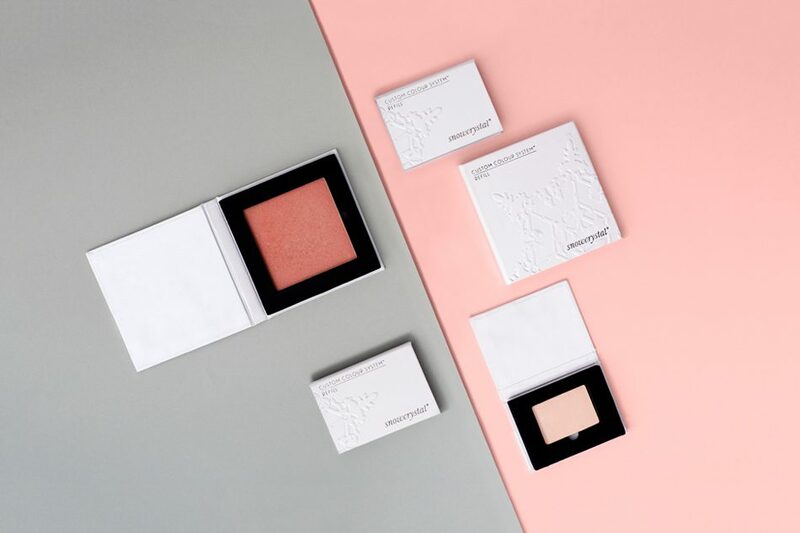 Intended for women of 40 years +, the Snowcrystal cosmetics use intuitive-color technology based on the key undertones of a womans skin – warm, neutral and cool. 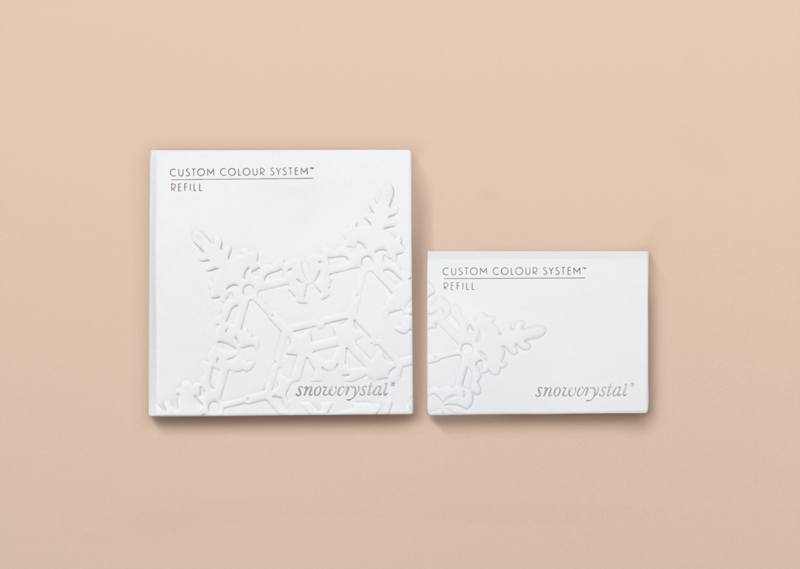 We were given the task to create an identity, strategy, and system solution for a range of Snowcrystal’s make-up products. To create customisable solutions that give endless creative possibilities under one brand, we created a system of “pick and mix” products. Using this method, packages can be refilled to offer greater flexibility and allow for the creation of personalised cosmetics. 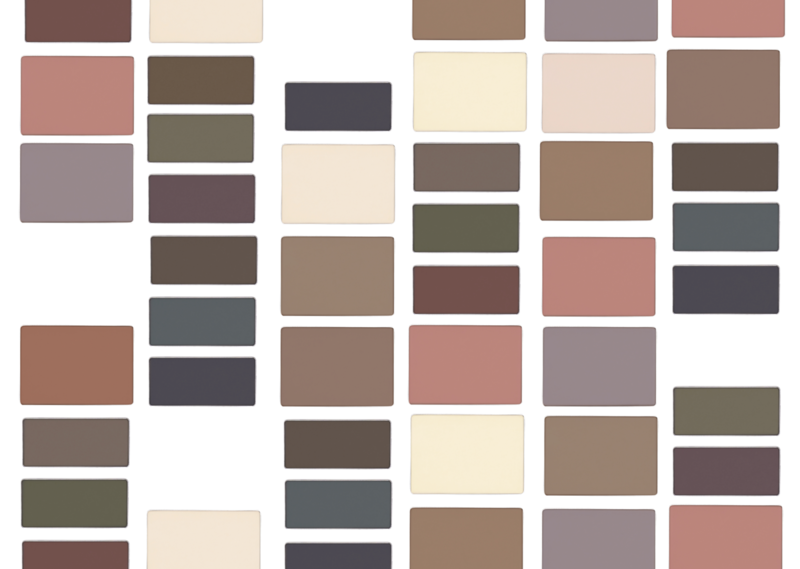 Palettes can be removed, refilled and switched-up to compose solutions that specifically meet individual needs, at the same time, creating a sustainable system that reduces carbon footprints. 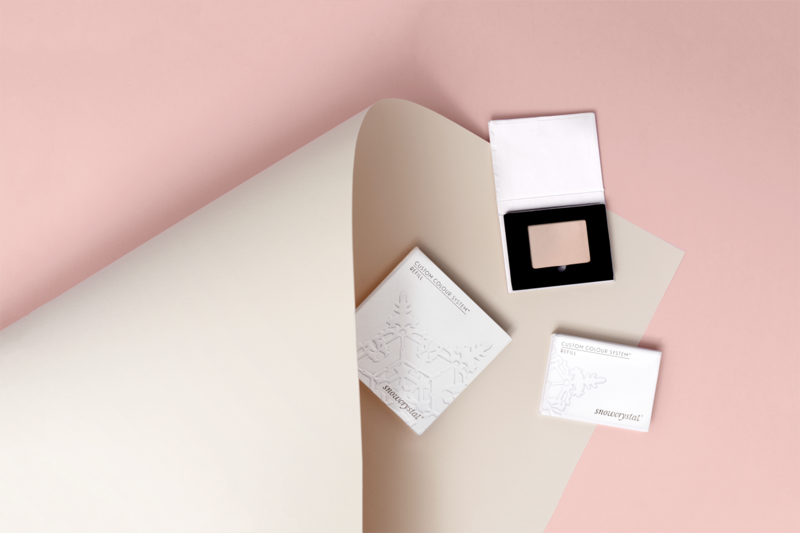 And, because ground-breaking make-up needs game-changing packaging, we gave the packaging just as much importance as the product. 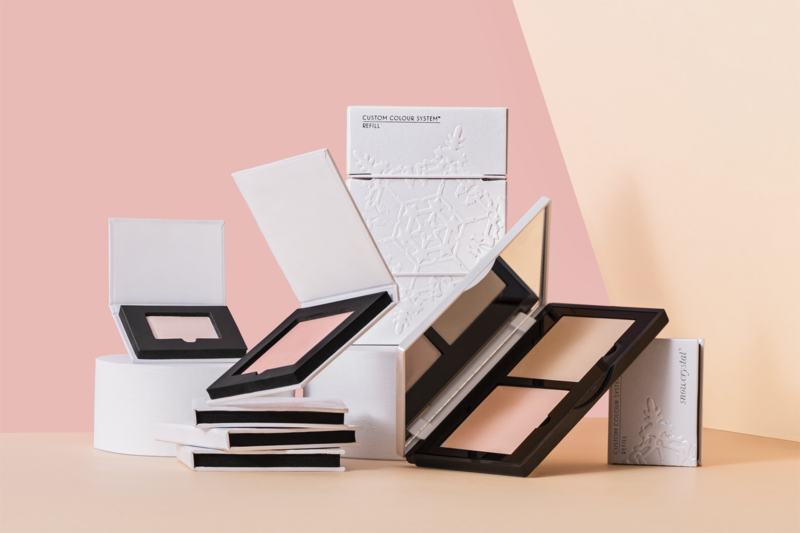 Making the refill packages and refillable compacts glisten with pearled paper and a delicate texture in the shape of a snow crystal, allowing for every product to feel like a treat. allow for the creation of personalized cosmetics. compose solutions that meet individual needs.